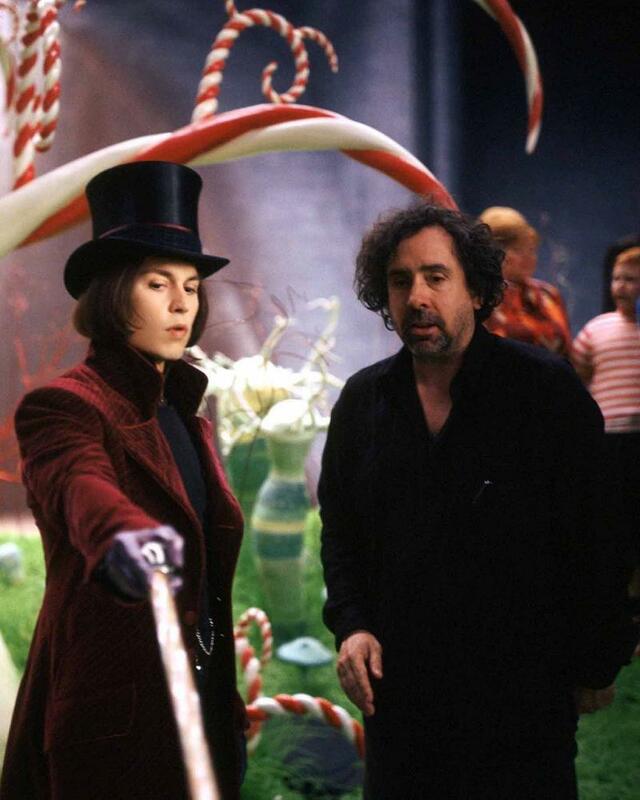 Tim Burton's film of Roald Dahl's classic children's tale, CHARLIE AND THE CHOCOLATE FACTORY, debuted in North American movie theaters on July 15, 2005, and became one of the top-grossing films of the year, earning more than $475 million worldwide. 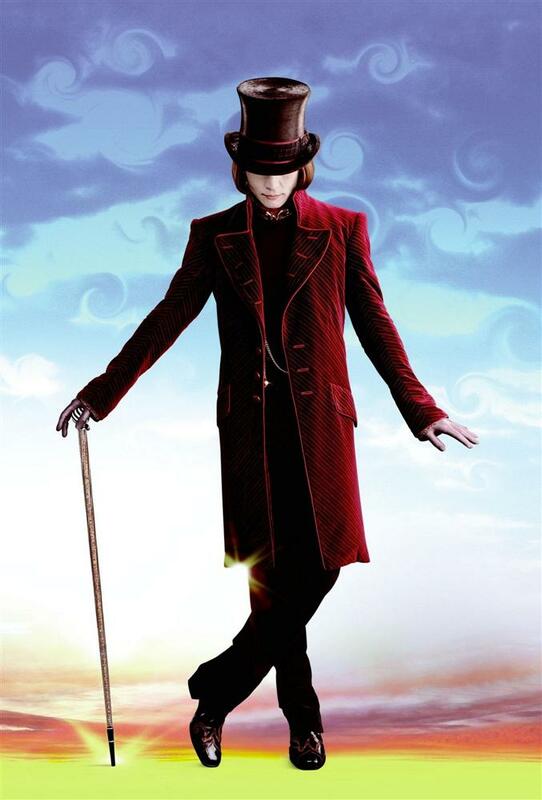 Johnny Depp plays the reclusive, brilliant, caustic candymaker Willy Wonka--a man for whom the adjective "eccentric" seems too mild--and Freddie Highmore shines as Charlie Bucket, the "ordinary boy" who wins a Golden Ticket to visit Wonka's chocolate factory. 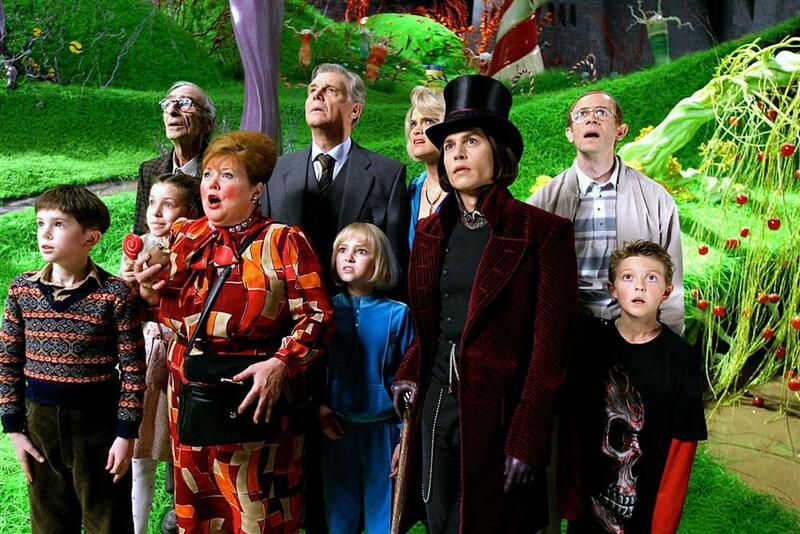 The strong supporting cast includes David Kelly as Grandpa Joe; Christopher Lee as Dr. Wilbur Wonka, Willy's dentist father; Deep Roy as (all) the Oompa Loompas; Helena Bonham Carter and Noah Taylor as Charlie's parents; Julia Winter, Annasophia Robb, Jordan Fry, and Philip Weigratz as the other Golden Ticket winners; James Fox as Veruca Salt's tycoon father, and a hilarious Missi Pyle as Violet Beauregarde's arch-competitive mother. 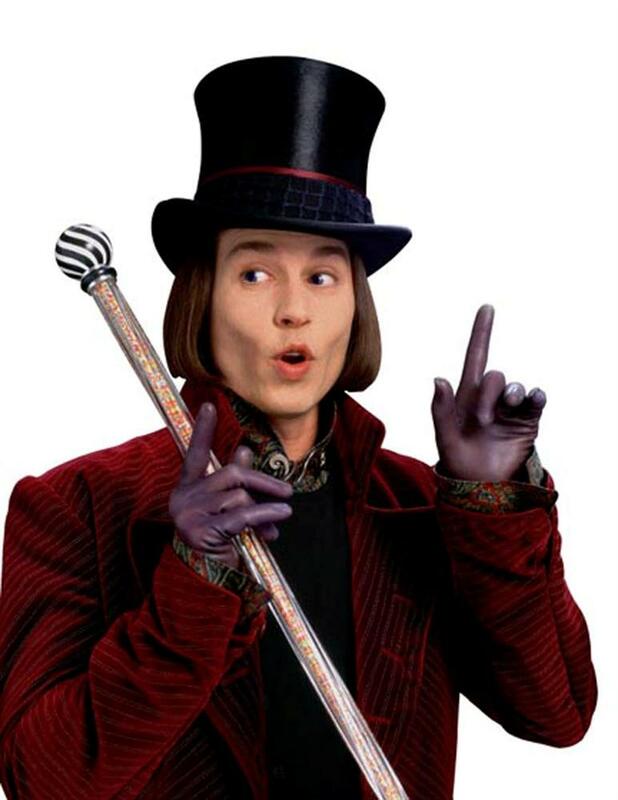 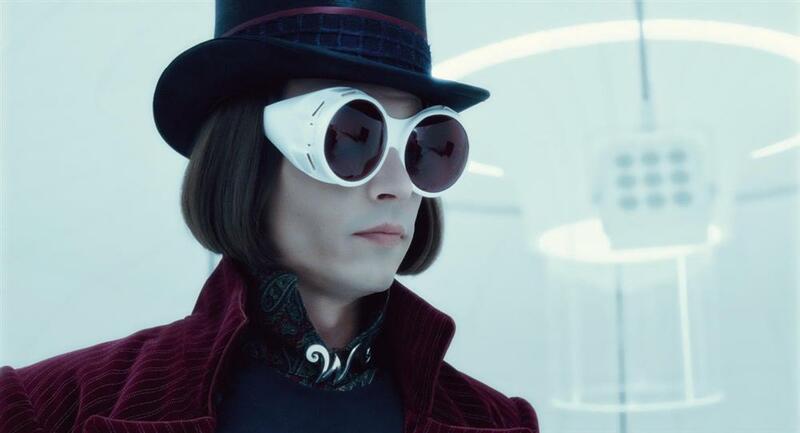 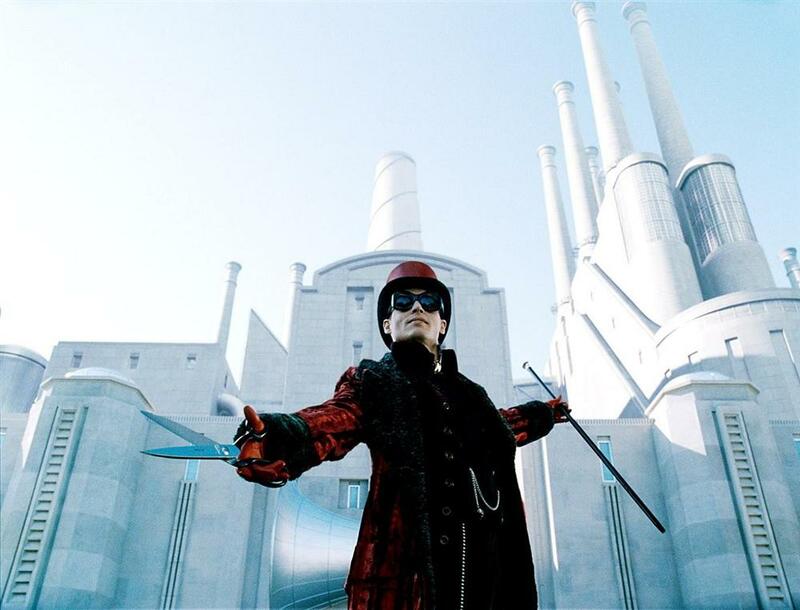 Playing Willy Wonka is a challenge because the character hides his real intentions and motives for so much of the film, and therefore many of Wonka's actions seem arbitrary and bizarre. 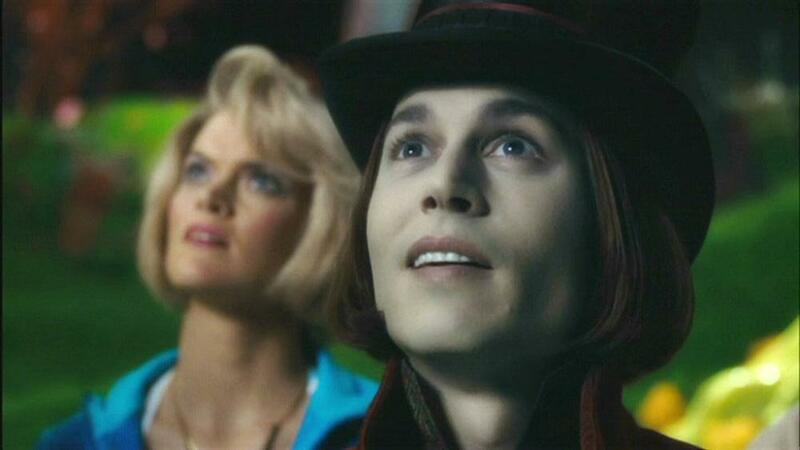 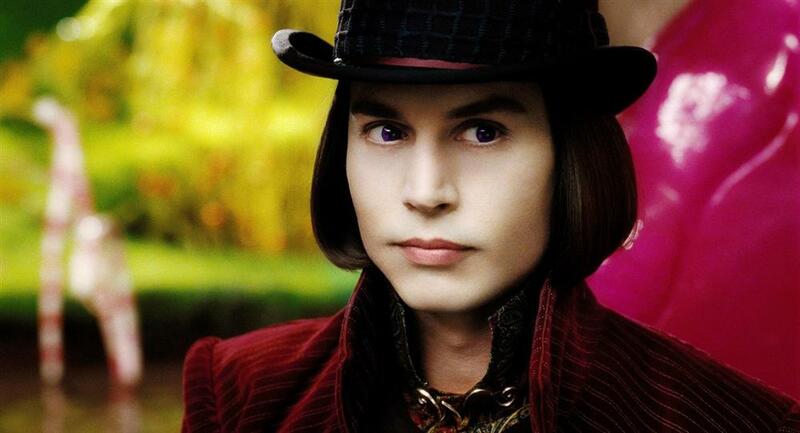 "Johnny Depp creates a preposterous, unbelievable, unlikable Willy Wonka, and makes him real," said ABC's Joel Seigel. 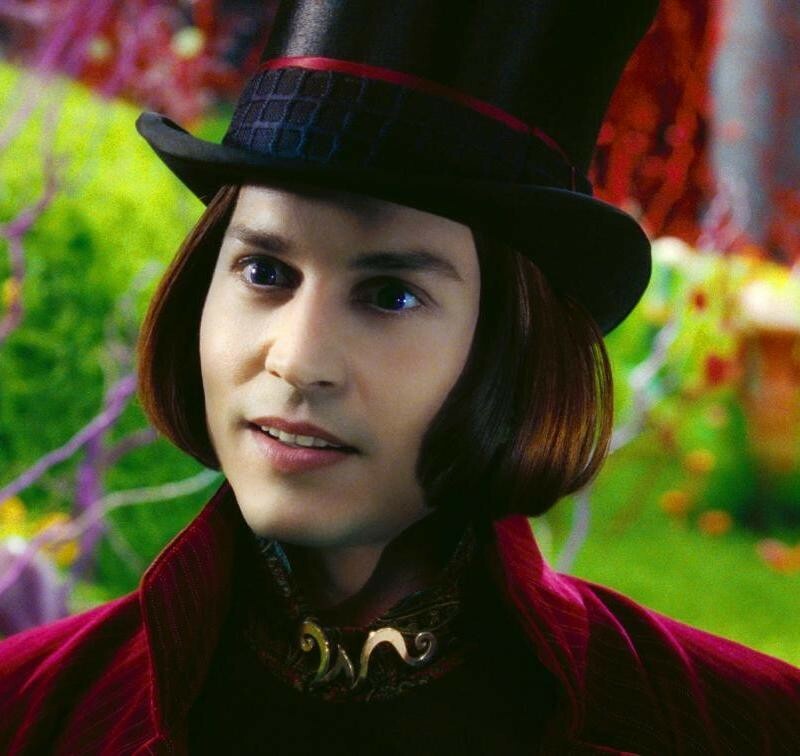 "And sweet as nougat." 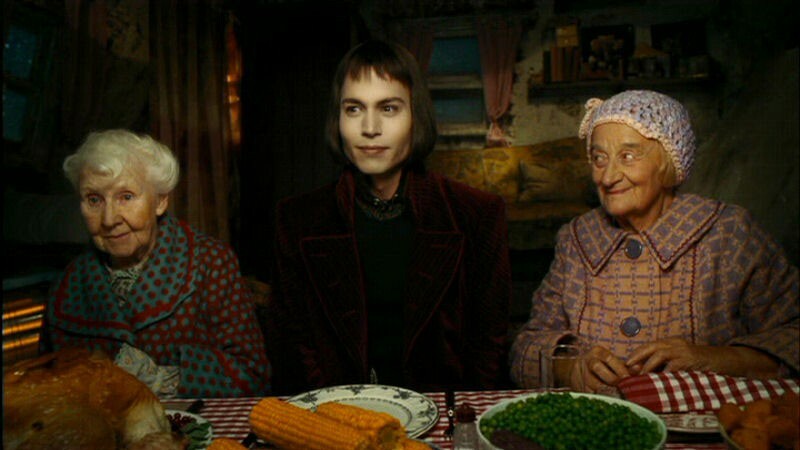 Some critics thought that Wonka, with his pageboy haircut and unnaturally pale face, might be based on Michael Jackson, but both Johnny and Tim Burton emphatically denied that; they said the inspiration for Wonka came from game-show hosts, with their frozen, insincere grins, and children's TV hosts with their oddly pitched, singsong voices. 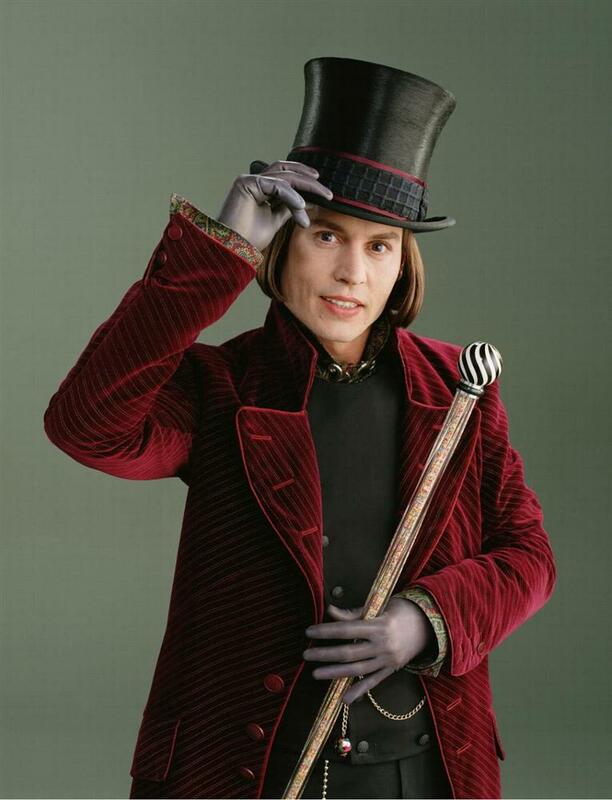 In an interview on A&E, Johnny explained how difficult it is for Wonka to take on the role of tour guide and invite people into his factory; after years of isolation, he doesn't know how to talk to strangers anymore: "He assumes a character so that he can actually speak in front of people . 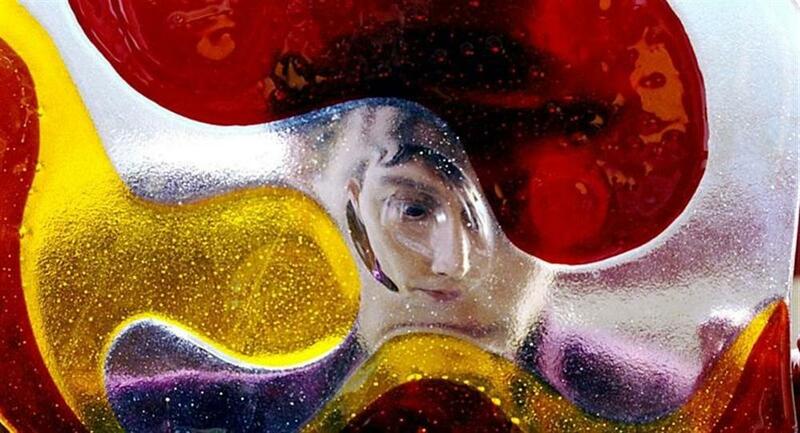 . . and behind that mask . 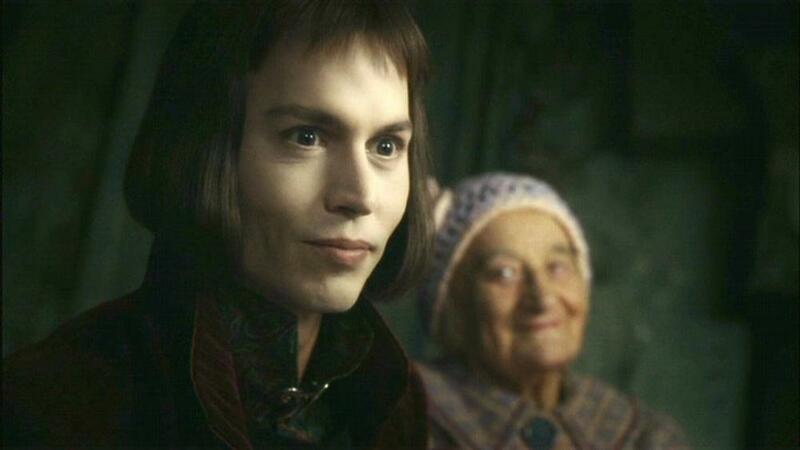 . . behind that face . 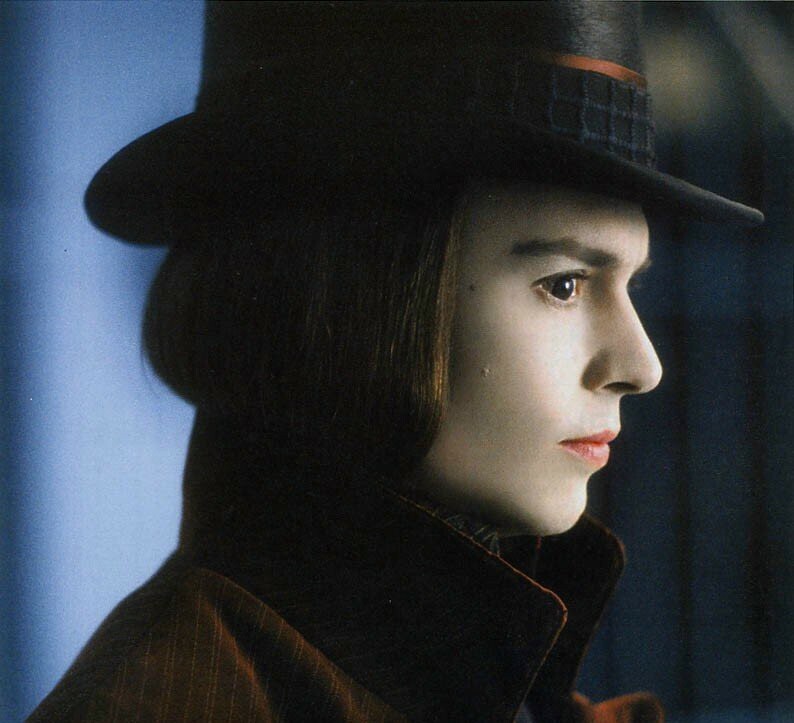 . . there is a guy who is pure and afraid . 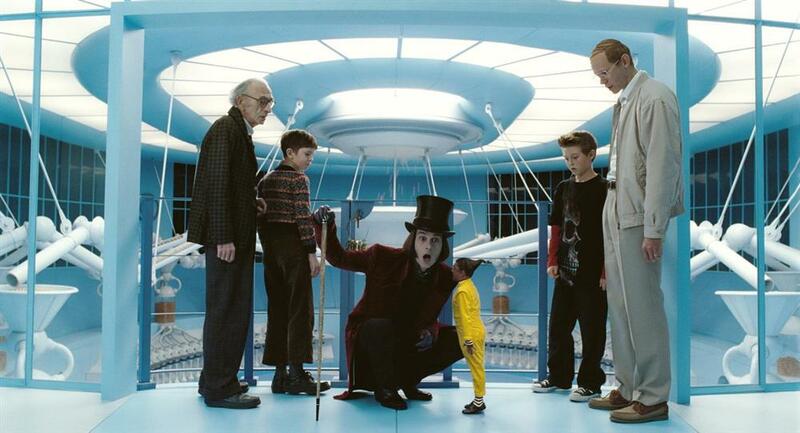 . . and afraid of being afraid . 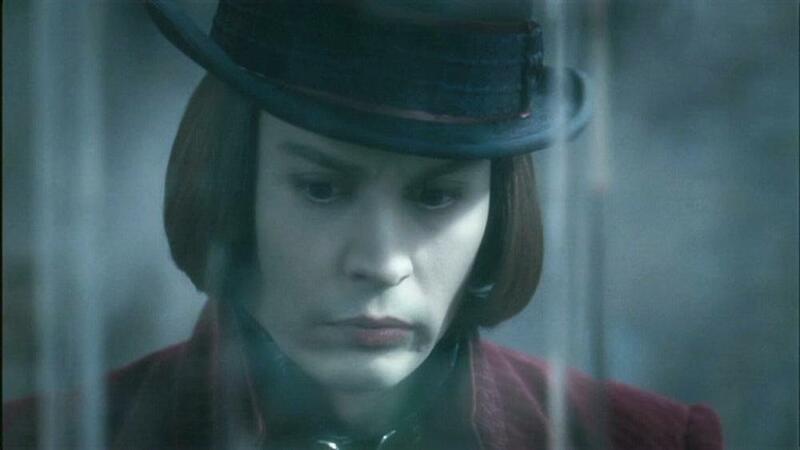 . . and afraid of people seeing that he is afraid." 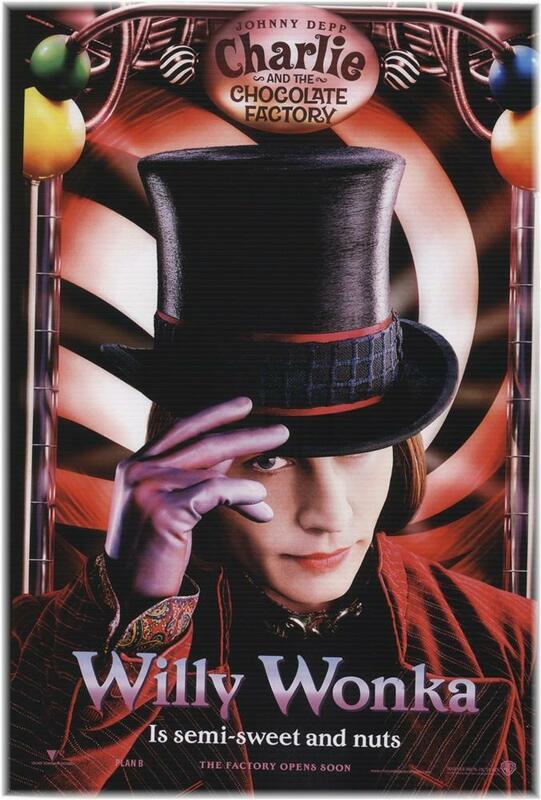 Michael Wilmington of the Chicago Tribune wrote, "Depp [...] plays Wonka like a daffy man-child, brilliant and petulant, always in control but only because he owns everything in sight. 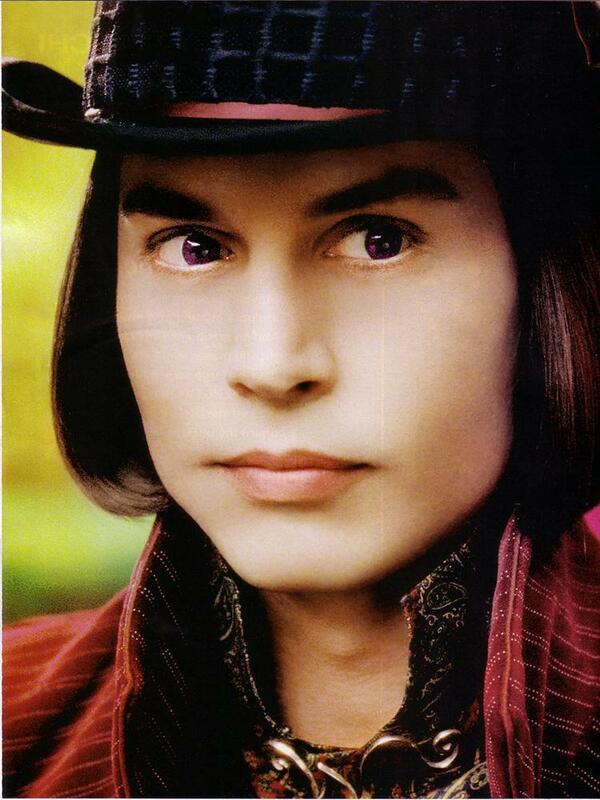 Depp's line readings [. 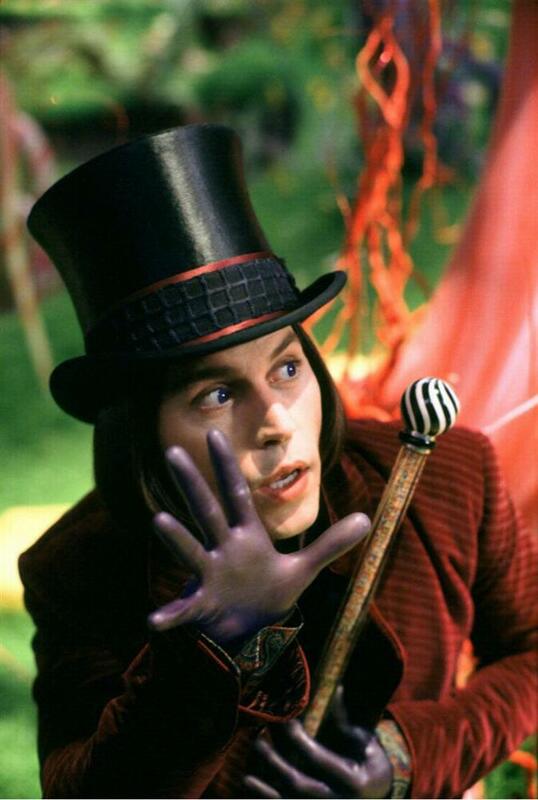 . .] are disarmingly twisted and unexpected; he bends phrases, just as Wonka springs traps and double meanings. 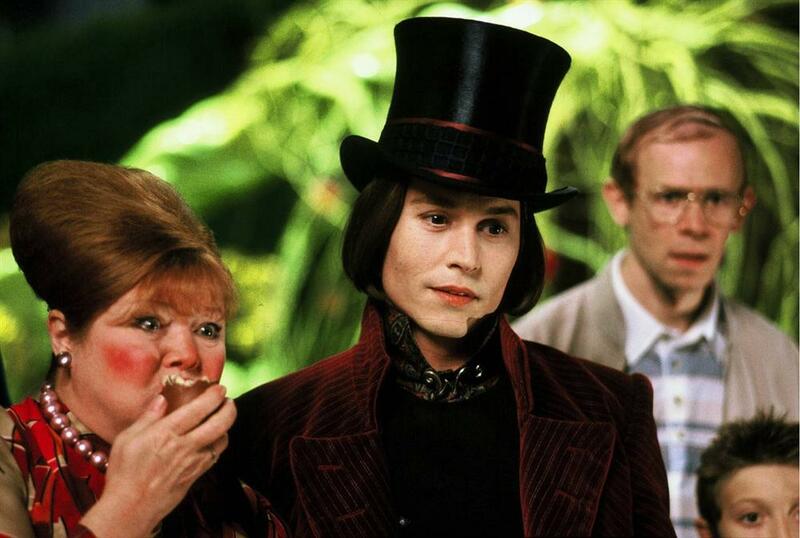 Burton fashions a wonderful pop mythology on screen. 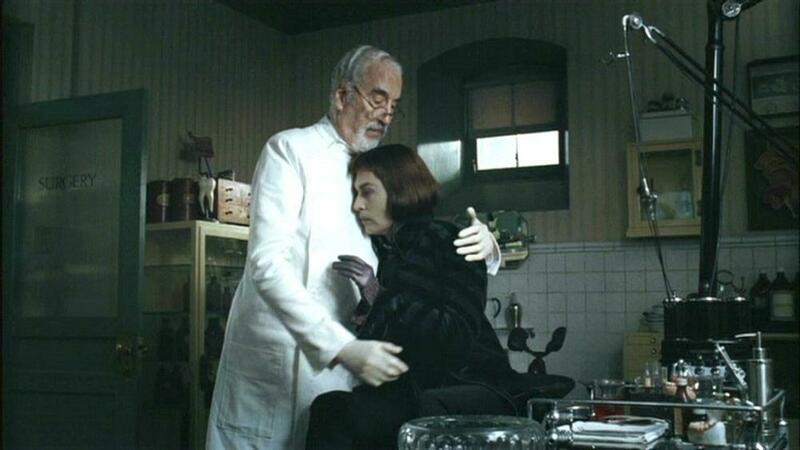 But the film works so well because all its makers [. 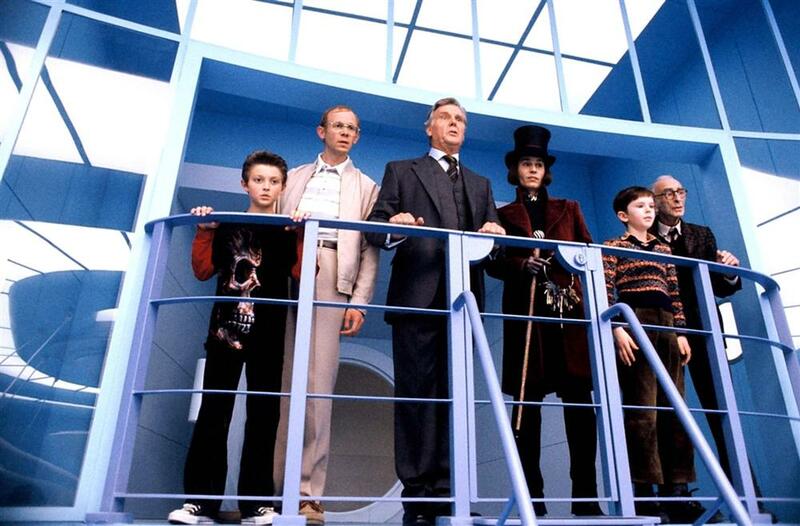 . .] are so faithful to [author Roald] Dahl's vision and mood. 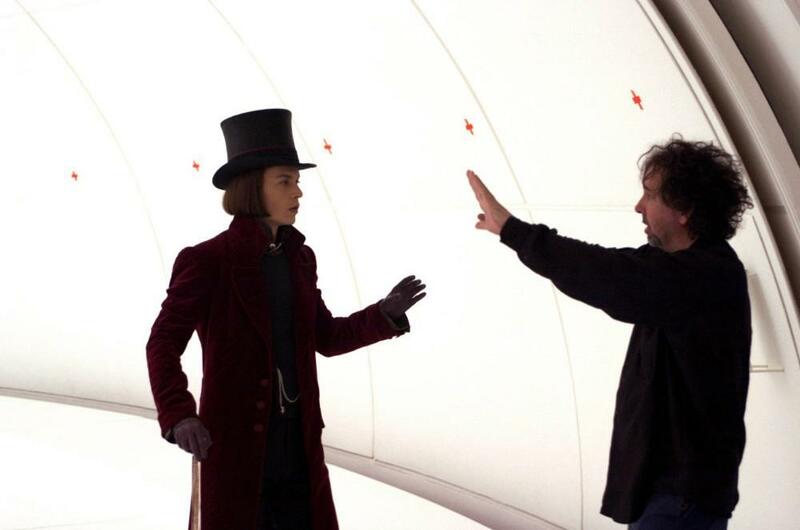 It's an exhilarating and fanciful movie that never drowns in money or technology." 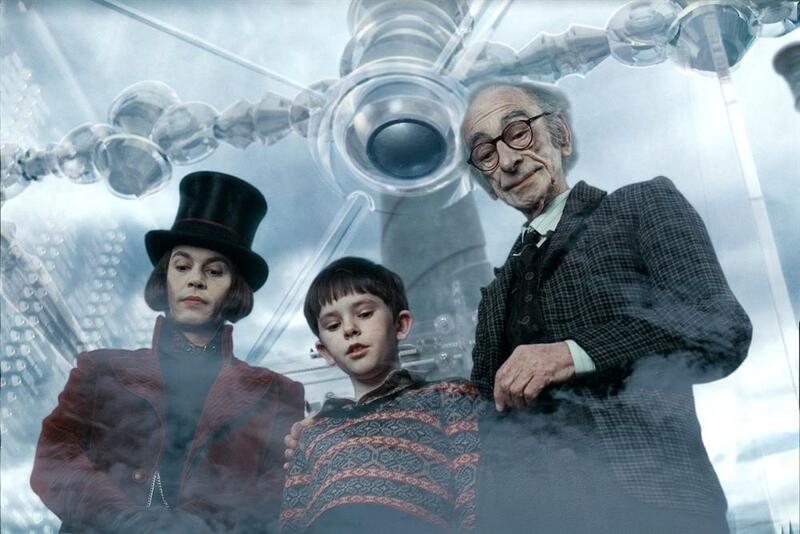 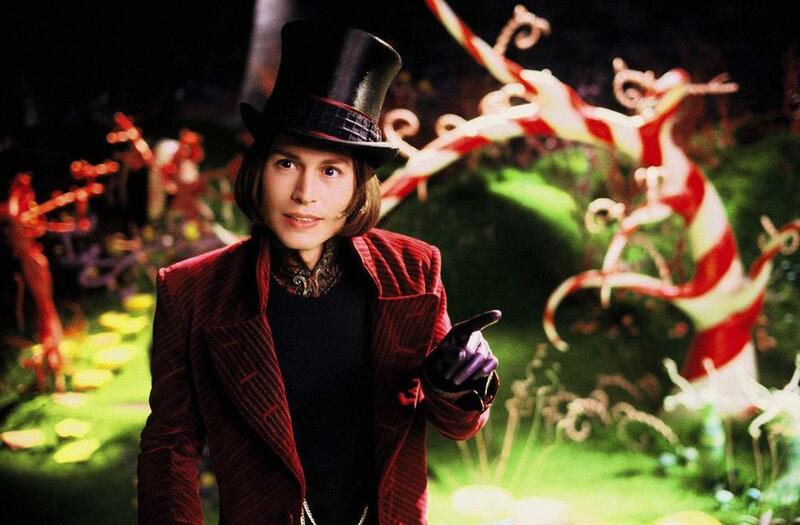 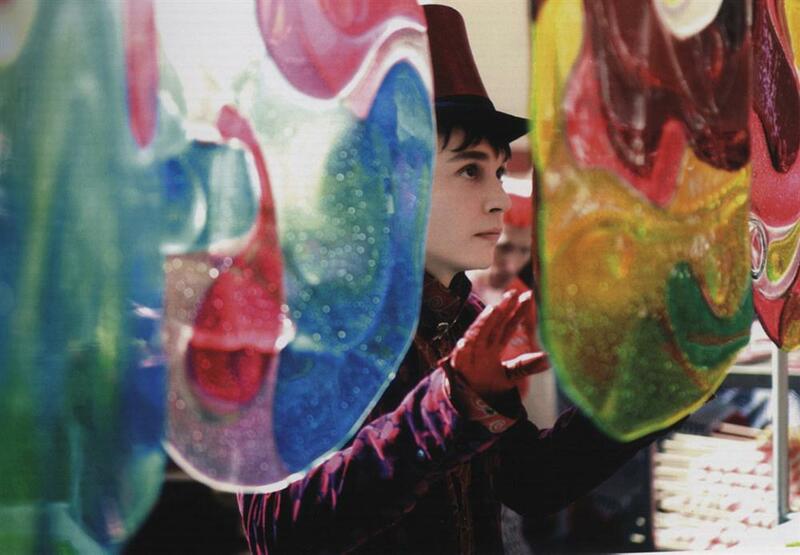 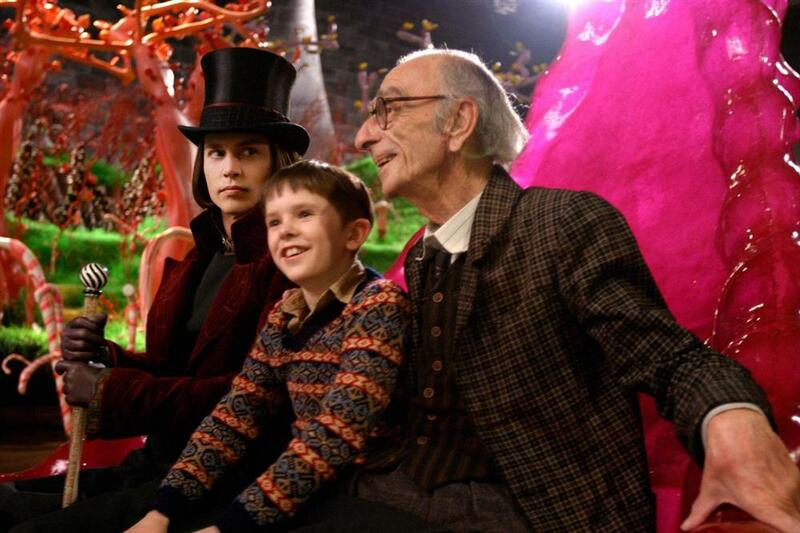 The Hollywood Reporter called Tim Burton's chocolate factory "one of the best fantasy worlds this side of Oz." 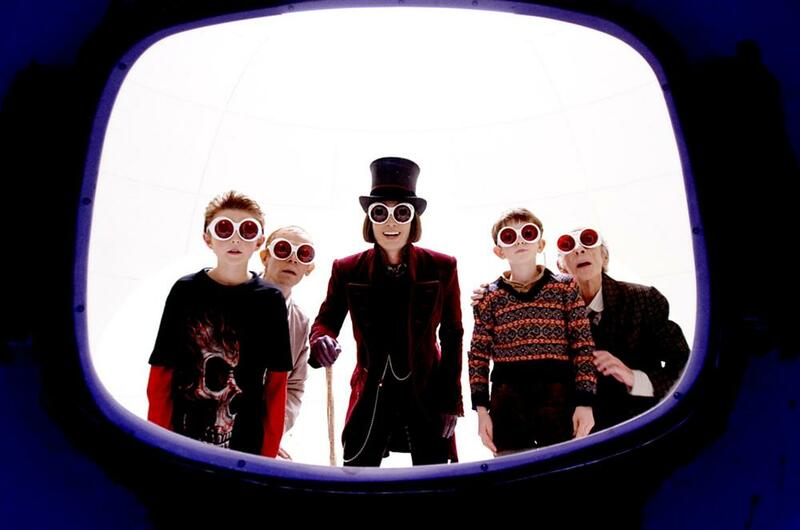 CHARLIE AND THE CHOCOLATE FACTORY won the 2006 People's Choice Award for Favorite Family Movie. 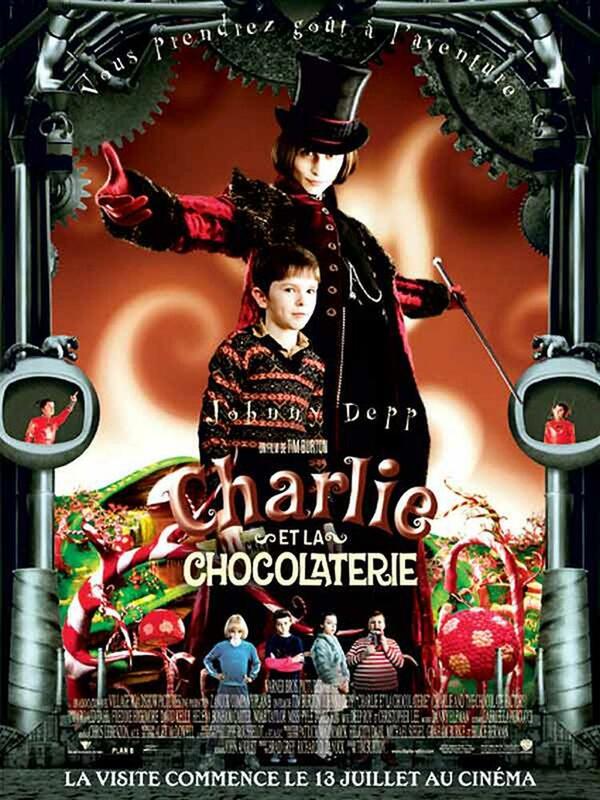 Johnny Depp was nominated for a Golden Globe for his performance as Willy Wonka, and Freddie Highmore won the Critic's Choice Award as Best Young Actor. 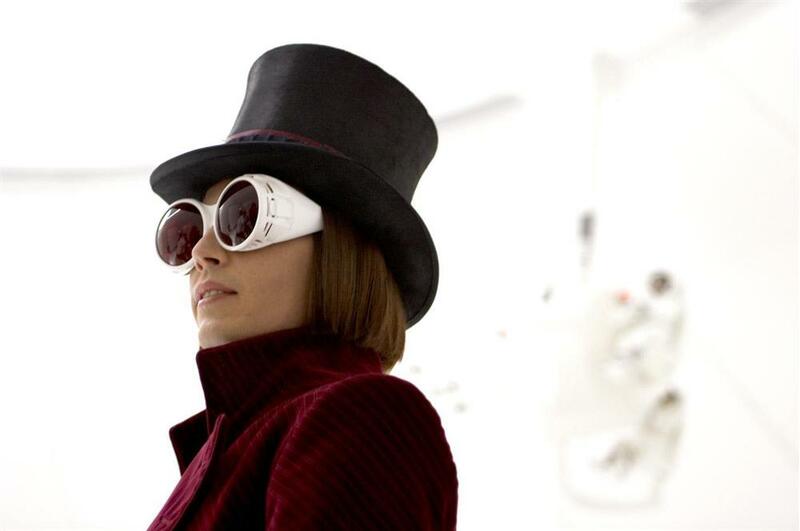 Gabriella Pescucci's costumes received an Academy Award nomination. 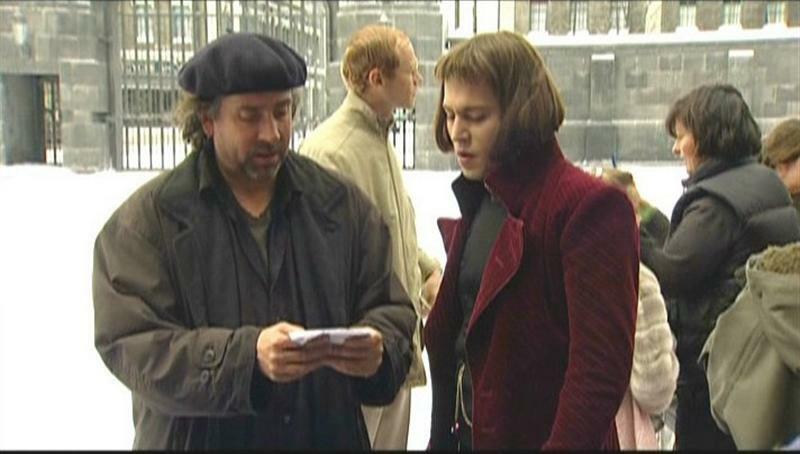 This gallery is a communal effort; many Zone members graciously contributed scans or screencaps. 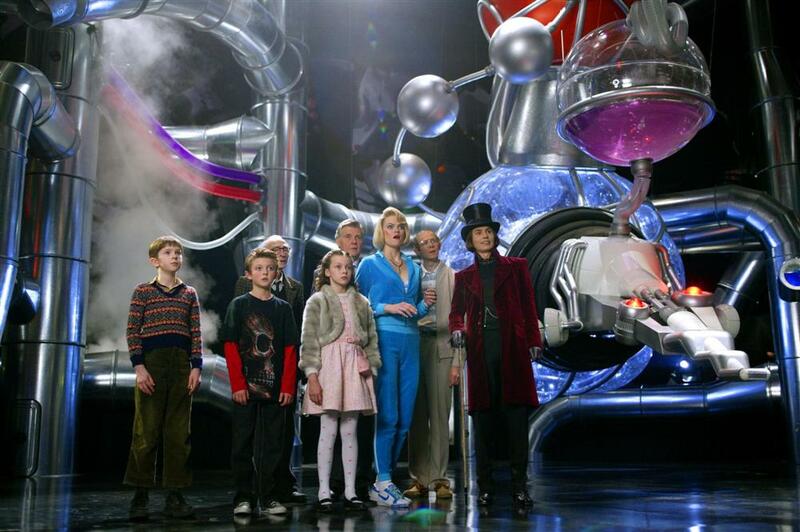 We extend our thanks to Sleepy, Bonnie, AnaMaria, Emma, Hiro3, and Theresa.